“Complete car, 2 door coupe. Runs & drives great, passes aircare every year. Onwed for past 3 years. Into every life, a little Cadillac must fall. Once considered the standard of the world (to the point that it was actually referred to in exactly that manner), all Cadillacs are vehicles to be appreciated, and none is better known than this: the Eldorado. Having been conceived during the single best decade in car design (the ’50s) and representing the most ridiculously opulent of lifestyles, the Eldorado’s pairing of unabashed girth and stupendous styling was a match made in heaven; a match that slowly found itself spinning, flaming, towards the fire and brimstone-filled hell that was the ’70s. Transformed from an airliner-inspired masterpiece into this colossal, 500 cubic inch V8-powered front wheel drive behemoth, the almost 5,000 pound Eldorado drove like drunken schooner and drank like a motoryacht from its bottomless 101 litre fuel tank. But if it was panache, wow-factor, and a smooth ride that a disco-crazed professional was after, the line ended at the ’74 Eldorado. But, as much as the later Eldorados were pure, unadulterated bastardizations of the once-proud nameplate, they’ve aged almost gracefully… not Judy Dench graceful, but maybe Molly Ringwald graceful. And like those famous actresses, nothing recalls their perspective eras better. Recently repainted that perfect shade of pink, equipped with a (new) white top, and approximately the same length as the infamous short bus, this ex-California car will make an excellent car with which one can enjoy the last remnants of summer here in Vancouver. However, if someone wanted to keep it longer-term, rust forming around the wheel fender skirts will need addressing, as will the various engine issues. But, the news that an uninstalled, but factory optional, 8-track player is included with the purchase of the car should offset some of those concerns. Bee Gees 8 track are available seperately from eBay with prices ranging from $5 to $20 US. It doesn’t get much simpler than that: a 390, new running gear, and a good intro… erm… interior. Looking a bit like it rolled out of your favourite zombie apocalypse movie, this hard wearing ’65 Galaxie is proof positive that the innumerable buyers of one of Ford’s most popular models ever didn’t have it wrong: this is one solid automobile. Debuting in 1959 and continue uninterrupted until 1974, the Galaxie was available in coupe, sedan, and convertible forms, and with a myriad of equipment packages ranging from 428 cubic-inch quarter mile terrors to more sedan small-block commuter cars. 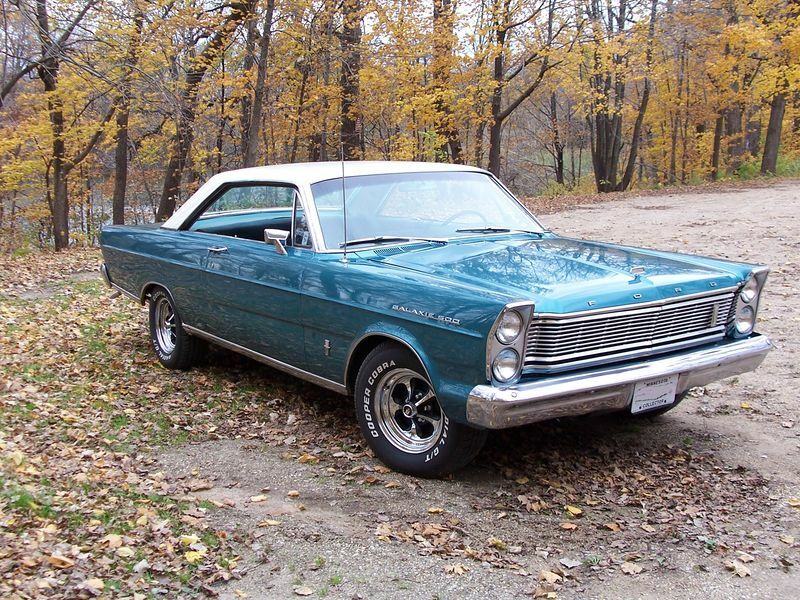 Definitely not one of the smallest cars on the road, the third generation Galaxie wasn’t going to make life easy for anyone forced to endure places like Gastown’s cramped quarters, but the big V8s and huge interiors made it a great highway cruiser. And when it comes to big, loping V8s, the Ford 390 definitely qualifies. An engine used extensively across the Ford lineup in everything from Mustangs to F-250s, it’s renowned for it’s ability to simply soldier on in the face of withering mileage and neglect. Strapped into the engine bay of one of Detroit’s finest examples of solid steel’s resilience, the combination of a 390 big block and two doors makes this one car that could appreciate in value with a bit of elbow grease. But, as with any car this era, one must be concerned with rust in the floors, trunk, and fenders, although a strong following ensures that replacement parts won’t be particularly difficult nor expensive to procure. Add in the new brakes and tires, and the asking price of $2,500 seems a paltry sum to gain entry into the classic American musclecar club. 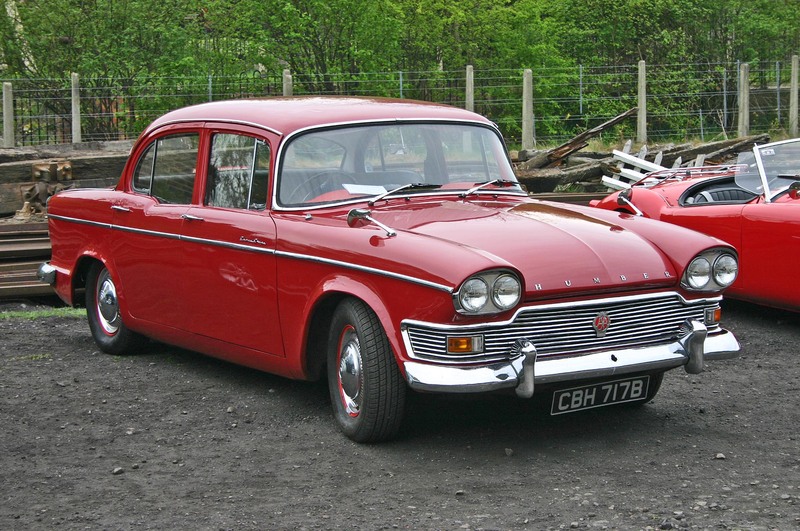 Looking like a bizarre cross between a tri-five GM product and something that Stalin would have been proud to call his own, the British Humber Super Snipe is, in reality, something closer to Britain’s answer to the Lincolns of the day. Big, cushy, and equipped with very classy and luxurious interior, they were the favourite of executives and managers of the day; a role that’s currently filled by BMW, Mercedes, and Audi. Being a 1963 model year makes this one a Series IV, meaning it’s imbued with the relatively potent 124.5 horsepower version of the 3.0L inline six. Although that doesn’t sound like much, if running in good nick, it will push the Super Snipe past 150 kilometres per hour. That said, it will take a while to get there; taking over 15 seconds to hit just 100 kilometres per hour. But at least all that extra time will give you a chance to enjoy the burled wood dashboard, rich red leather trim, and awesome gaugework. There’s just something cool about European sedans from the fifties. Without the pomp, circumstance, and pure real estate of their American counterparts, little sedans like this Peugeot make for excellent modern daily drivers by offering decent fuel economy and a small, city-friendly package… especially in bike lane-laden Vancouver. 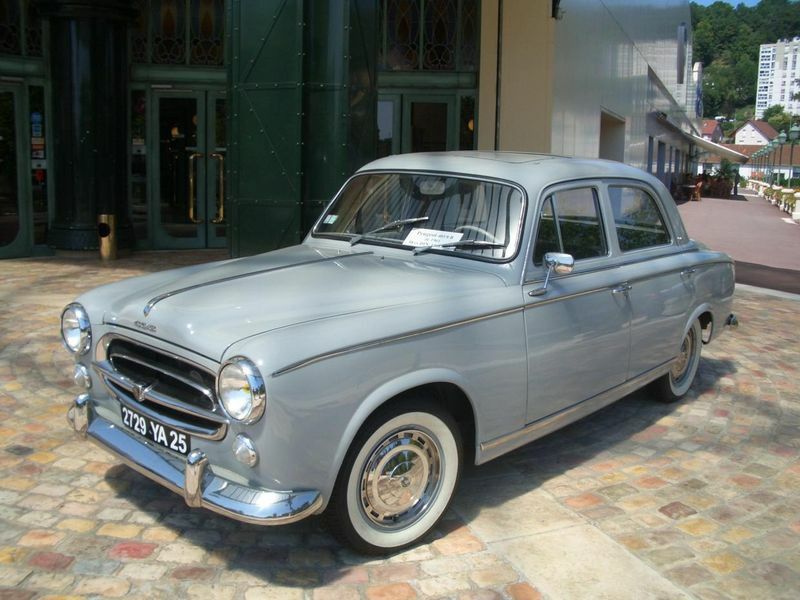 And when it comes to small European sedans, you can do worse than the Peugeot 403. With a reasonably healthy 65 horsepower courtesy of it’s 1,468 cubic centimetre hemi-headed four cylinder, the 403 would leap into fame on the small screen thanks to none other than the ’70’s detective hit “Columbo,” in which the show’s protagonist is often seen tooling around town in his 403 convertible. Not a vehicle that’s often seen on this continent, their popularity overseas ensures a solid supply of parts, albeit more than likely saddled by expensive shipping rates. However, the 403 was lauded in its day for outstanding reliability, and a buyer can expect a used example to carry on that reputation surprisingly well. As with any old car indigenous to the wet climate “enjoyed” here in British Columbia, a careful inspection of all the standard rust-prone areas would be an exceptionally good idea. “We have a 1969 Opel Kadett Super Wagon for sale. It is running, starts with a jump. It has sat for over a year and needs a tune up. 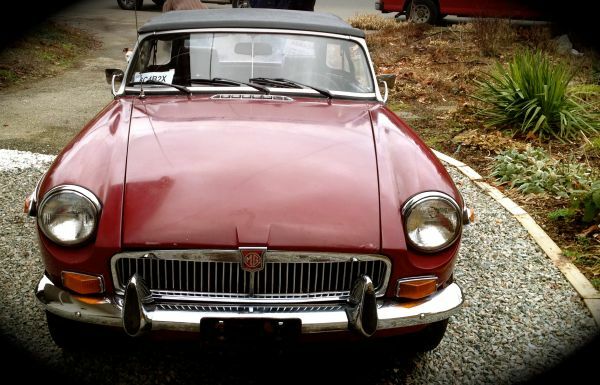 It was imported in 1970 From Germany and we are the 3rd owner. Orignal bill of sale available and import documents. Is it the prettiest car in the world? Hell no. Is it just funky enough to qualify for funky Eastern Bloc status? Hell yes. And with just two doors, it’s one of the few wagons that can make any comrade look as suavely sporting as possible while still retaining the ability to haul around at least a few citizens’ weekly stuff allowances. Oddly enough, although it’s a vehicle that’s rarely seen and even less often thought of, it was the second most popular import car in the United States in 1969; it’s 1.1L and optional 1.9L four cylinders rewarding its thrifty buyers with over 30 miles to the gallon. 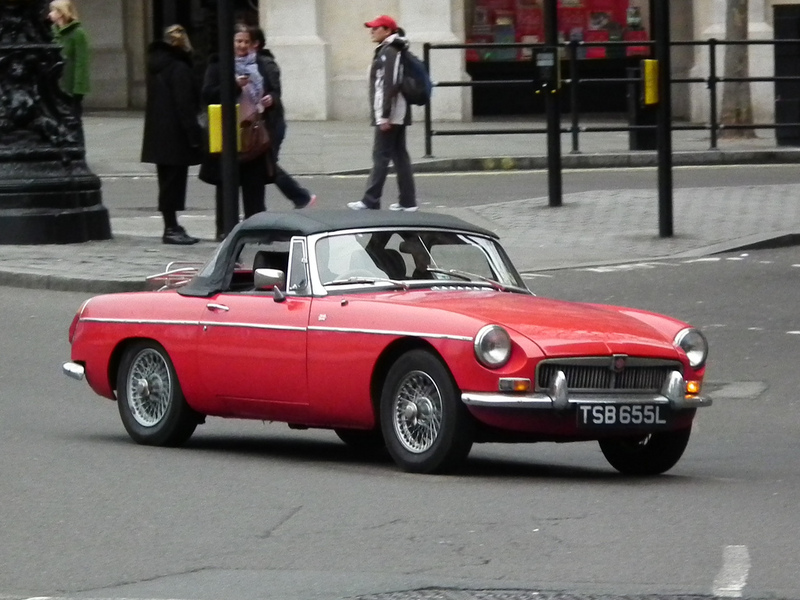 Although the 39,000 “original” (as opposed to aftermarket?) miles is a claim that’s hard to swallow, the greater fear would be the alleged surface rust. With Squamish, B.C. being only slightly drier than the bottom of the Marianas Trench, it seems unlikely that surface rust wouldn’t have taken deeper root within the Kadett’s flanks… which, given the rarity of Kadett Super Wagon body panels, could represent an expensive proposition. But, that being said, at just $900, it’s a damn sight better than walking, and a vastly better choice than that similarly priced Tercel hatchback.